Aerial Photography Pros are a family team of CAA licensed and approved pilots, camera professionals and post production experts who can help you produce incredible and cost effective aerial stills or video from a unique prospective. As aviation enthusiasts the love for flight was always there. Our passion for flight and a career in digital marketing and digital media is the perfect combination to bring you a level of expertise and business understanding that is difficult to rival – We have produced hundreds of marketing videos that have been seen on Cinema, TV and Internet. We are a small team, based in two locations in the UK – We can easily and quickly be deployed for any aerial work you need. Depending on your budget we can offer you a range of top of the range aircraft and data recording equipment that will allow you to capture incredible Ultra High Definition 4K footage. Be it the two man DJI s900 Hexacopter or smaller and nimbler one man DJI Phantom, we will ensure you get the very best for your money. See our Prices & Offers. James is the founder of Aerial Photography Pros and has a successful background in digital marketing and media production. 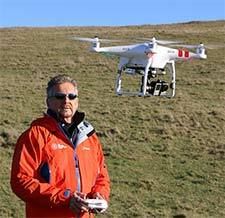 Nigel is also a CAA licensed UAV pilot. 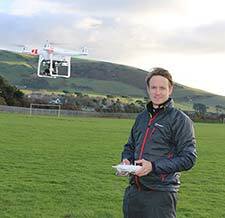 He has a passion for flying, photography and helping you produce incredible aerial imagery. We get asked lots of great questions, here are the answers to a good chunk of them. We are professionals and want to get the best results – see how we’ll work together. We can offer you the complete package! We are post-production professionals.